As a measure against illegitimate applications, Wirtland has recently introduced the application processing fee. The fee is set at 5 US$ (about 3,8 EUR) in any currency, payable by PayPal or credit card. When new applicant requests a Residence Permit, he or she is supposed to include a notification about payment together with a completed Application Form. This symbolic fee helps to filter our underage applicants and spammers. 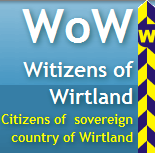 Please note that Wirtland citizenship, including membership in Witizens Network, remains completely free. This application processing fee is applicable only if you are requesting an official Wirtland document, i.e. submitting an application for Residence Permit. 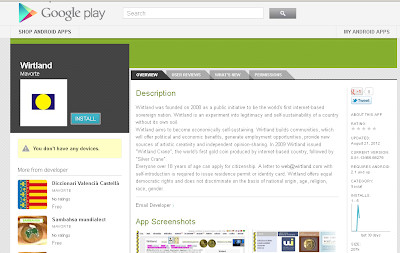 We have spotted several applications for Android and other devices, which are based on the content of Wirtland sites. 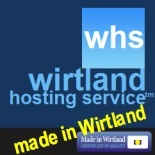 While Wirtland does not object against using our content and images are for non-commercial purposes, the Government of Wirtland states that these applications are not official products, and Wirtland has no connection with creators or sellers of such products. Russian video on Wirtland: Happy Wirtland Day! This video was posted on Wirtland's facebook timeline today - on Wirtland Day. Fun stuff. A nice way to celebrate our anniversary. A very happy Wirtland Day to everybody! And thanks to Andrey Nifedov for this nice video. Is it possible to buy Wirtland project? Today we have received the following message – see below. I replied that we need to discuss ths publicly. Please post your comments. Thank you. Hello, I represent an investment fund. We are interested in web assets. 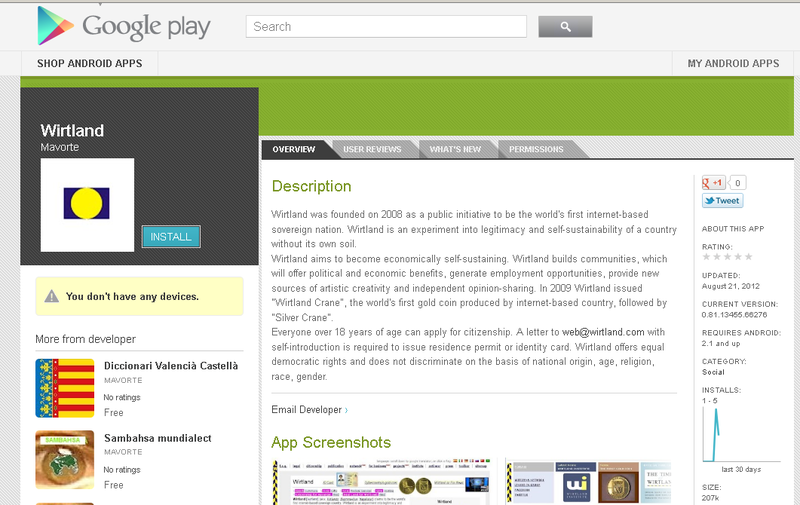 Is it possible to buy Wirtland project? Who should be contacted? Thanks. PS. This is not a joke.